CBS has released its 2012-2013 schedule, and it includes four new programs. Look for trailers to be posted on TV Fanatic later today, but for now we've got your forst photographic look at Vegas, Elementary, Partners and Made in Jersey. 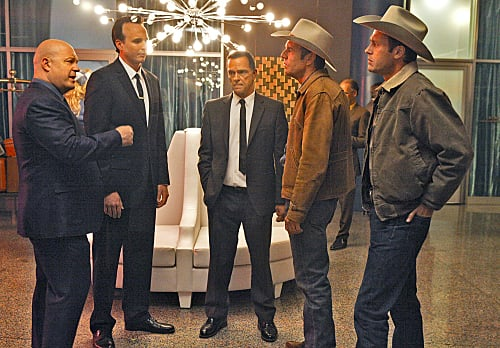 Stars Michael Chiklis as Vincent Savino, a Chicago mobster intent on taking over Las Vegas; and Dennis Quaid, the real-life sheriff Ralph Lamb intent on stopping him. * Watch the first Vegas trailer now! 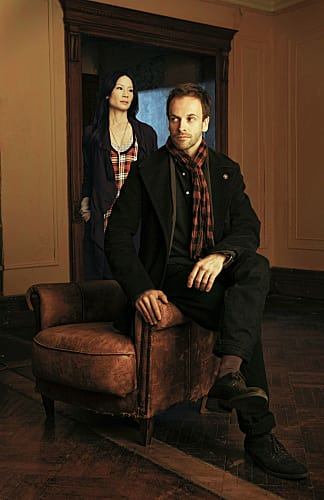 Time slot: Thursdays at 10 p.m.
Stars Jonny Lee Miller as Sherlock Holmes, set in modern day New York City; and Lucy Liu as Dr. Joan Watson. * Watch the first Elementary trailer now! 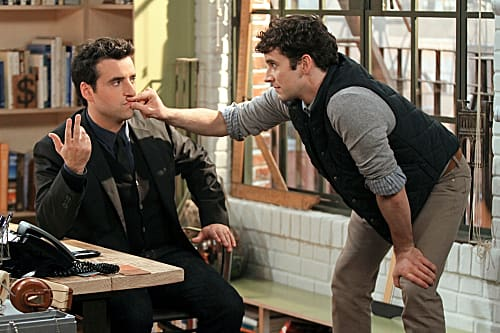 Time slot: Mondays at 8:30 p.m.
Stars David Krumholtz as a newly engaged architect; and Michael Urie as his gay colleague/best friend. 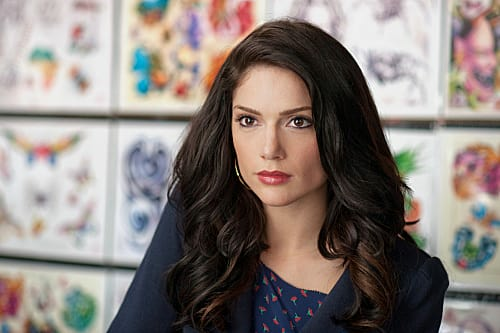 Time slot: Fridays at 9 p.m.
Stars Janet Montgomery as Martina Garretti, a working class woman who competes with Manhattan colleagues at a prestigious law firm using street smarts over book smarts.